Some HOREX Motorcycle Manuals & Wiring Diagram PDF are above the page. 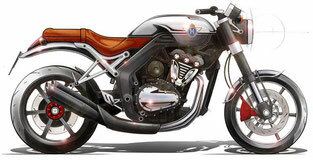 At first, Motorcycle Horex was equipped with small four-stroke engines, which were assembled in the city of Oberursel by the company "Columbus". After the merger of the latter with Horex, other types of motorcycle motors (primarily low-power single-cylinder engines with a cubature from 250 cm3 to 600 cm3) were developed. With the beginning of the 30's. In the last century a pair of two-cylinder models with a row arrangement appeared. They had a more substantial volume (600-800 cm3). 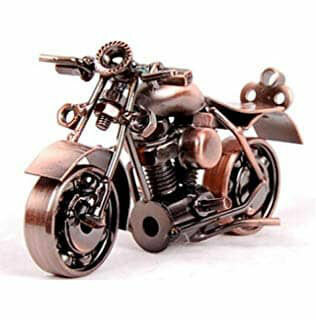 Transmission of their power to the rear wheel of motorcycles was carried out using the chain. Much has changed the Second World War, which was unleashed by Nazi Germany. 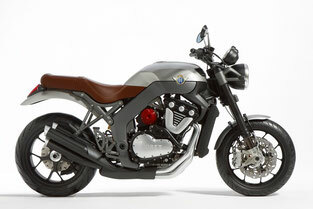 In the course of its production of bikes "Horex" ceased. However, a couple of years after the end of the war, the above brand returned to the creation of two-wheeled motorcycle equipment. From the conveyor line in 1948, high-quality 350-cc iron horses, equipped with one cylinder "SO 35 Regina", began to descend. With the beginning of the 50s of the 20th century, the brand started mass production of beautiful 500-cubic-meter liner "Imperator". In the middle of this decade, their 400-cubic meters were added to them. In the distant 1960-m control over this brand passed into the hands of the world famous automobile company "Daimler-Benz", which contributed to the curtailment of the production of two-wheeled vehicles. After 50 years after (in 2010) the world was shocked by the promising announcement to revive the release of the Horex motorcycles. New iron horses were to receive a modern six-cylinder engine - "VR6". The planned market, in addition to Germany's native moto, was to include Austria and Switzerland. It was planned to equip the new bikes with an aluminum frame with a steel steering column and a belt drive for the rear wheel. Nevertheless, these plans did not come true, as in 2014 the manufacturer announced bankruptcy. What awaits this problem brand is ahead, as long as no one knows. Motorcycles Horex were produced by a well-known German manufacturer of bikes, originally based to create dishes named "Rex". It happened in 1920. The main office of the company was in Central Germany (a small town in Bad Homburg). After the above-mentioned manufacturer merged its name with the pair of the first letters of the above-mentioned city, a very harmonious brand name was obtained. Look - DKW Motorcycle Manuals PDF.